Since the government’s debt crisis in 2009, life under austerity has been increasingly hard for Greeks. Especially young Greeks. Half of all 16 to 25 year olds are out of work; the economy has shrunk by a quarter since 2008. Depending on which statistics you look at, poverty affects between one in three to half of the population. The situation in Greece, as one activist told me, is reaching the scale of “a humanitarian crisis”. But on Sunday Greeks overwhelmingly voted against austerity at the general election. 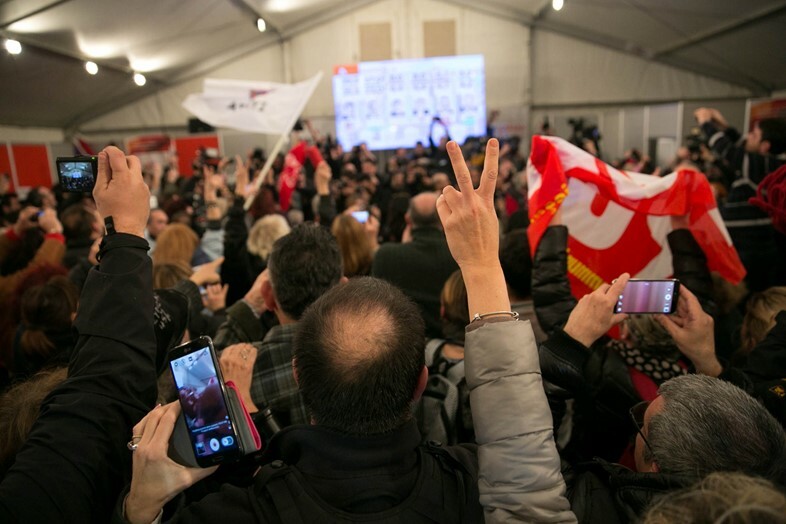 Despite scare tactics from the incumbent government and generally centre-right media, the anti-austerity party Syriza – often hailed as radical and far-left – received 36 per cent of the vote, an almost unprecedented victory in Greek politics. The previous governing party New Democracy polled 27 per cent and saw its number of MPs cut by a third. Central Athens was partying on Sunday night following the victory. The square next to the university was packed with tens of thousands of people screaming, crying, embracing and waving flags under floodlights whilst bad Europop blared through a tannoy system. People were ecstatic at the prospect of a Syriza government and genuinely believed their victory spelled a new and better era for Greece. “The new government will create jobs and make public healthcare free,” Dora added. 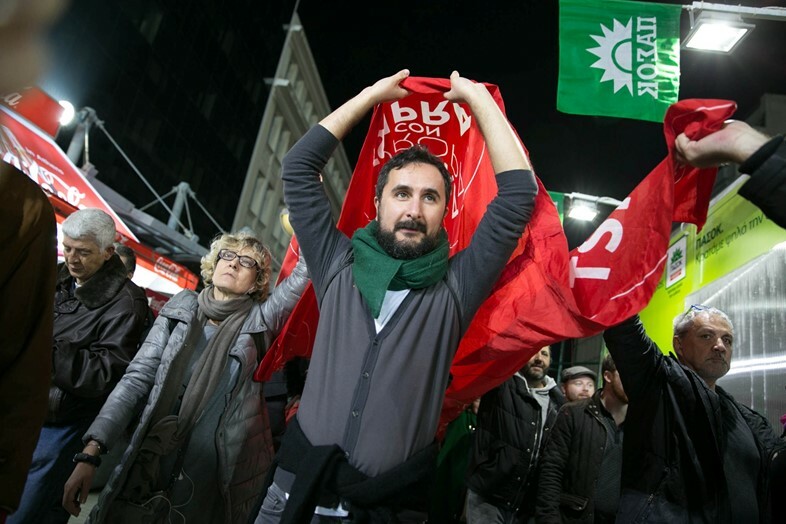 Charis, a university professor in his late 50s, hailed Syriza’s success as the first genuine left-wing victory in Greece and the rest of Europe for 70 years. I asked Charis if Syriza could really bring about the changes it promised. “We require it, we requested it, we need it,” he pronounced. By early Monday morning it turned out that Syriza had not won enough seats to form an outright majority government. They would have to form a coalition with another party. They chose to ally themselves with the Independent Greeks, an anti-austerity party which leans towards right-wing nationalism – the group opposes immigration and multiculturalism, and its leader was recently accused anti-Semitism when he said Jews paid fewer taxes than other Greek citizens. There were mumblings of a sellout. 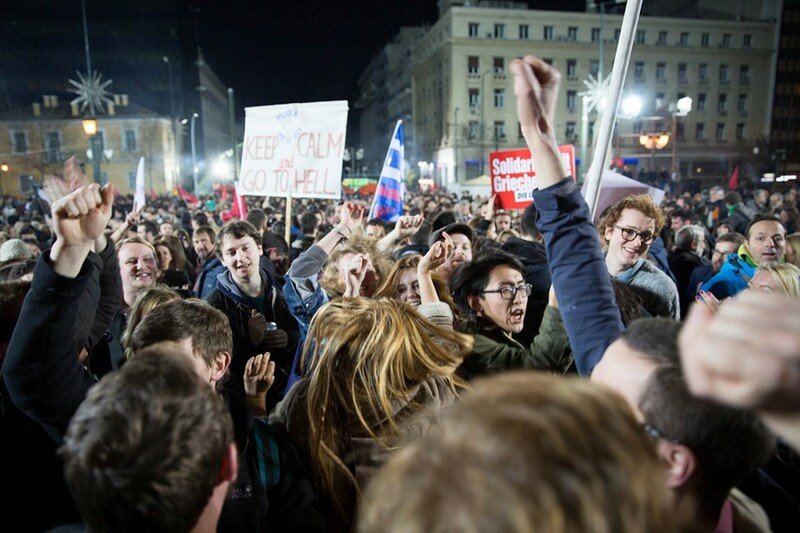 Activists within the Syriza youth wing said that it was a less than ideal solution. I went over to Exarchia to gauge reactions to the new far-left–far-right coalition government. Exarchia is a pocket of Athens with a long history of anarchism, communism, anti-fascism and general resistance to the state and governments. Guidebooks and online tourist forums have branded the area a ‘no-go’. The Athens government even created a dedicated branch of law enforcement to police the area – the Delta force ride around on motorbikes and are notorious for police brutality. Here I’d find some dissenting voices to the Syriza victory. I met George, a Syriza supporter, and Paul, a Communist party supporter, in a cafe on Exarchia square, both in their 30s. George claimed that Syriza will still be able to carry out their anti-austerity agenda despite its dubious allies. Paul was more cynical. “There’s a worry that they’ll be like Tony Blair in Britain; he was meant to be left wing but his policies were far-right. This is what we’re afraid of Syriza being,” he said, adding, “and if they don’t manage to make the changes they promised, the next government is going to be the fascists.” After all, the neo-fascist group Golden Dawn polled 6.3 per cent in the election – making them the third most popular party. Despite its questionable coalition, Syriza do offer genuine hope to many Greeks. Their party members didn’t seem like the type to sell out easily. 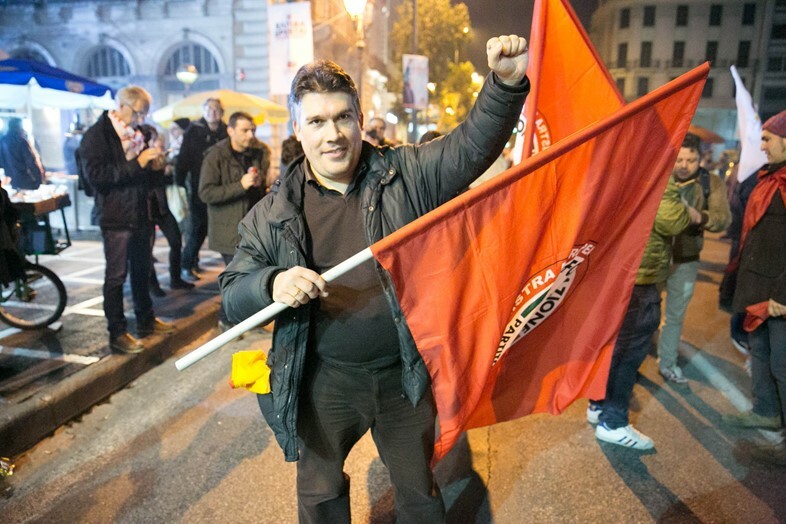 I caught up with Elias Panteleakos, a self-described communist, student and secretary of Syriza’s youth wing. 18 to 24 year olds are Syriza’s largest block of voters. Whether Syriza are able to change society will largely depend on events in the next few weeks as the government try to negotiate a way out of Greece’s massive debts to the European Union, which currently stand at €193bn.